A MASSIVE hotel, office and residential development in Cork’s docklands is to commence by the end of the summer after the sole objection to the plan was withdrawn. HQ Developments has proposed the construction of more than 200 apartments, office space for 5,000 people and a 136-bed hotel on a 6.1-acre site next to Kent Station. The office space will cover 37,000 square metres in three blocks, with 237 apartments spread over four blocks. The hotel will include a rooftop restaurant along with retail and restaurant space. The proposed Horgan’s Quay development, HQ, features eight buildings, with 237 apartments, a hotel and 400,000 sq ft of offices. 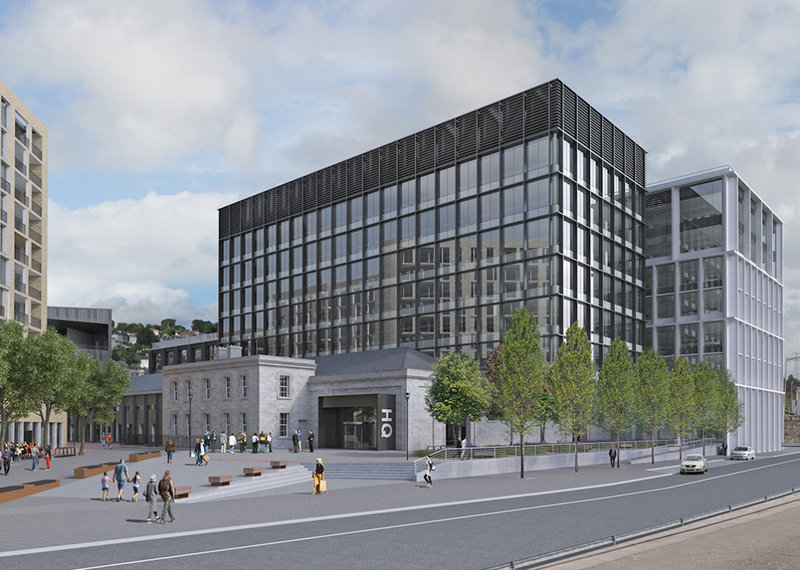 The €160 million Horgan’s Quay development is one of the most ambitious in the city centre confines and is viewed as a crucial component of the revamp of Cork’s docklands. In their submission, the Port of Cork said the development was premature pending the development of a local area strategy. However, the Port of Cork confirmed that all concerns which were raised regarding the proposed development have now been satisfied by HQ Developments Ltd.
A spokesperson for HQ Developments Ltd confirmed that the developer plans ‘to be on site by the end of the summer’.